If you have a busy schedule, you might find yourself taking your coffee with you. Or perhaps you like to slowly indulge, letting each sip gently sink in. Whatever scenario, at some point you’ve probably taken a gulp of cold coffee – not iced, but cold, gross coffee. If you’re interested in some tips on how to keep that last sip just as hot as the first, then you’ve come to the right place. Let's dive in and unfold these 10 tips on how to keep coffee hot. If you’re looking for a simple and possibly creative way to keep your coffee hot for as long as possible, trying on a thick sleeve for size might not be a bad idea. Also known as a mug warmer, what makes it different from a traditional sleeve is that it is made of a more insulating material – usually cloth or yarn. Depending on the design of the thick sleeve, you can use it on cups with handles or handle-less cups. The sleeve works to insulate your coffee while at the same time protecting your fingertips from getting burnt. You can find thick sleeves for purchase in various stores; however, if you’re more of the crafty type, you can always make your own with an original design. Just be careful to not spill your coffee because you could run the risk of staining your sleeve – or worse, capturing hot coffee into the fabric of it and then slightly burning your fingertips when you go to take a drink. Keep your fingers away from getting burnt. You can choose different types of thick sleeves for your various mugs and cups. Sleeve can get stained if coffee is spilled on it. If you’re on the go quite often, a traditional cup sleeve might come in handy as well. They’re thinner than thick sleeves and usually made of a thicker type of textured paper, which on the plus side, can usually be recycled. What’s convenient about them is that you can access them more easily, meaning that most coffee shops and fast food restaurants have them available near condiments, and most store bought to-go coffee cup kits come with a cup sleeve. A disadvantage is that since they are thinner than a thick sleeve they might not keep your drink as hot for as long. They come in handy in a quick pinch though. Help reduce waste by minimizing the need to ‘double cup’. Can only be used on handle-less cups. This is possibly one of the better ideas that you probably have never given a thought: pre-heat your cup. Pre-heating simply involves putting the coffee cup that you plan to use into the microwave before pouring your coffee into it. When you pour a hot liquid into a cooler cup or mug, you’re losing some of the heat immediately. The coolness of the cup makes your drink colder, and some of the heat also escapes out of the top of the cup as well. Pre heating the cup beforehand in the microwave could deter against this and work to keep your coffee hotter for longer. Also, a great way to trap the heat inside of your cup is to use an isolator. Glass is one of the better isolators, so you should definitely consider using a glass cup as your container to heat up. The only downside to this is that you run the risk of making the cup too hot and burning your fingers in the process. Yikes! No one wants that. Just make sure that you are being careful and choosing your heating times appropriately. Depending on your microwave and the type of cup you are using, 30 seconds to a minute should suffice. Maintains the heat of the coffee. You could potentially burn yourself when taking a glass cup out of the microwave. A thermal mug is basically a portable coffee mug that is usually made of stainless steel or plastic. There are two ‘walls’ within the mug that create a vacuum. The absence of air that the vacuum creates works as an insulator to keep hot coffee hotter for longer. If you are someone who spends most of your days outdoors, why not just buy a mug that always keeps your coffee hot regardless of where you are, am I right? Tried and true, most thermal mugs are guaranteed to keep liquids hot for up to 24 hours. You can also drink directly from the thermal mug, but even if you do carry a larger thermos type container, all you must do is pour your drink into a cup when you’re ready to enjoy it, and it will be just as hot as it was when you first poured it into the thermos. Thermal mugs come in many designs and brands; it’s just a matter of choosing the right one that fits your needs. The Hydro Flask and Ember Travel Mug are two great options available on Amazon at the opposite ends of the price range. Portable so you can take it anywhere with you. Keeps coffee hot for up to 24 hours. Some can be difficult to clean, or liquid can get in between the two walls of the thermal mug. Think of a cup warmer as the high-tech cup sleeve for your coffee. You simply place your cup inside of the warmer or wrap the warmer around your cup and plug it into the cigarette lighter or USB port in your car. This works especially well for those that have a long commute each morning, essentially assuring that your coffee stays warm for the entire trip to work. You can also use the cup warmer to reheat your coffee. Unfortunately, if you ride a bike or take a bus to work, this method is off the table for you. Also, even if you can use the cup warmer in the car, there is still the issue of how you might keep your coffee hot once you get out of your car. Guarantees a hot drink for entire commute. Some models also work as cup holders. Can potentially be used at work or home depending on what type of plug-in is required. Is useless if you don’t have a cigarette lighter or USB port in your car. This is just what it sounds like. Shaped to look like a real coffee bean, these enlarged metal beans are designed to give the coffee enthusiast the perfect experience.  They are designed to reduce the excess heat produced by coffee as soon as it is poured into a cup while at the same time keeping it hot enough to be enjoyed. Even though they are a bit pricey, they are also advertised as being reusable. If you are interested in learning more about metal coffee beans check out this video. Advertised as cooling coffee down enough in order to not burn your mouth. May be in limited supply. An immersion heater could be an interesting route to take in the quest for hot coffee. This involves you putting a small heating device that looks like a metal coil directly into the coffee. Most standard designs come with a clip so that you don’t make a mess putting the device in or taking it out of your coffee. It’s similar to a cup warmer because it needs to be plugged in to some type of port. You’ll find that you can buy different types of immersion heaters that can be used in your car, at work, or both places. This is effective because instead of working as an insulator, trying to trap the heat inside of your cup, an immersion heater produces its own heat from the inside of the cup to keep your coffee warmed up. Another great thing about immersion heaters is that they’re not just for coffee! You can use them to heat up teas, waters, soups, and various other liquids. Just make sure that you are keeping the immersion heater clean enough for daily use. No one wants a floater in their coffee! Also, not keeping the device clean would potentially affect how well it works to keep your coffee hot. Overall, it is a neat device to use that many people might not consider trying out. Can be used to heat up a variety of liquids. Can be tedious to remove every time you want a sip of your drink. While they’re not exactly environmentally friendly, Styrofoam cups can get the job done when it comes to keeping coffee hot. Like we mentioned earlier in the article, coffee needs good isolation to keep itself hot, and Styrofoam cups which are made of expanded polystyrene beads are thick enough to provide this type of isolation, so they do a great job of keeping your coffee hotter for longer. When you use a Styrofoam cup, you are eliminating the need for a sleeve, so in a way you are reducing waste a tad bit. Also, if you prefer to brew at home rather than go to a coffee shop for your daily fix, then Styrofoam cups can be bought in bulk for relatively cheap. You also don’t have to worry about washing the cup or even running the risk of breaking it like you would with a traditional coffee mug. Styrofoam cups can also be reused as long as they are in good condition. However, if you’re trying to cut back on your waste, you might want to choose a different option over using a Styrofoam cup. Disposable and cheap to purchase. Consider this idea somewhat of a last measure. Although it may be difficult to steady your coffee cup onto the heated seat without some type of reinforcement, such as pinning your coffee cup between a bag and the back of the seat, this method will surely keep your coffee warmer, if only for a little while longer. If your car doesn’t come with heated seats, but you have purchased seat warmers that you can put in your car, this might be useful as well. You might find that the heating pad is small enough to wrap around your coffee. Risk spilling coffee everywhere if not careful. Even though they’re obviously designed to heat up candles, candle warmers can be a highly effective way to keep your coffee hot throughout the day. They are essentially a small hot plate that you can set your coffee on top of and leave to keep it hot. Also, a candle warmer is cheaper than purchasing a cup warmer or thermal mug (and basically no cost if you already have one), and it has two purposes. Even if you are only using the warmer for your coffee and not your candles, you are repurposing it; therefore, you’re being conservative and not letting it fall into the trash. How neat and thoughtful! While you can’t use it in the car because of its conventional outlet, you can use it in your home or office at work to keep your coffee hot. Another thing to be aware of is how well the warmer supports your cup or mug. You want to have a candle warmer that has a flat and big enough warmer for your cup or mug. If the warmer is rounded up or not big enough, you could risk spilling your coffee everywhere, potentially ruining whatever is around it and burning yourself in the process. As long as you are being careful, this is one of the more creative, out of the box strategies to keep your coffee hot. You probably already have one in your house. You will need to be close enough to an outlet to use the candle warmer. Who doesn’t enjoy a nice, hot cup of coffee every day or at least every occasionally? It’s a staple in the lives of many, and with great coffee comes the responsibility to keep it hot and tasty for as long as possible. 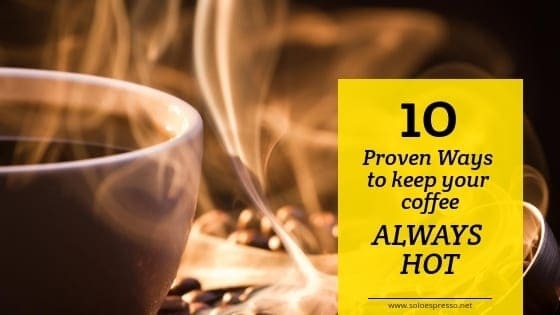 Hopefully, you’ve found a few of these proven ways to keep your coffee always hot to be useful. Some of them are simple and require little to no thought or planning, while on the other hand, you might have to put a bit more planning and perhaps a little bit of money into some of the ideas. Dabble around with these ideas and settle on one that you like. If keeping your coffee hot is the end goal, then you’re guaranteed to be satisfied regardless of the method you utilize. Be sure to sound off in the comments section with your thoughts, opinions, and own ideas for keeping your coffee constantly piping hot.